Yesterday I brought this lovely breakfast pudding to my MOPS brunch. It won the “Freshest Idea” Award! It was so delicious not to share with you all. ENJOY. Butter a casserole dish or cake pan. Place the doughnuts in the pan. In a bowl, whisk the eggs, rum if using, cinnamon, sugar, and vanilla until well blended. Add the milk and cream and whisk to blend. Pour the mixture over the doughnuts, turning the top pieces so that all of the doughnuts become soaked in the liquid. Bake for 45 to 50 minutes, until the pudding is browned on top and firm in the center. Let cool for 10 minutes in the pan. Note: If making ahead cool and plastic wrap, refrigerate up to 3 days or wrap for freezing and freeze up to 3 months. 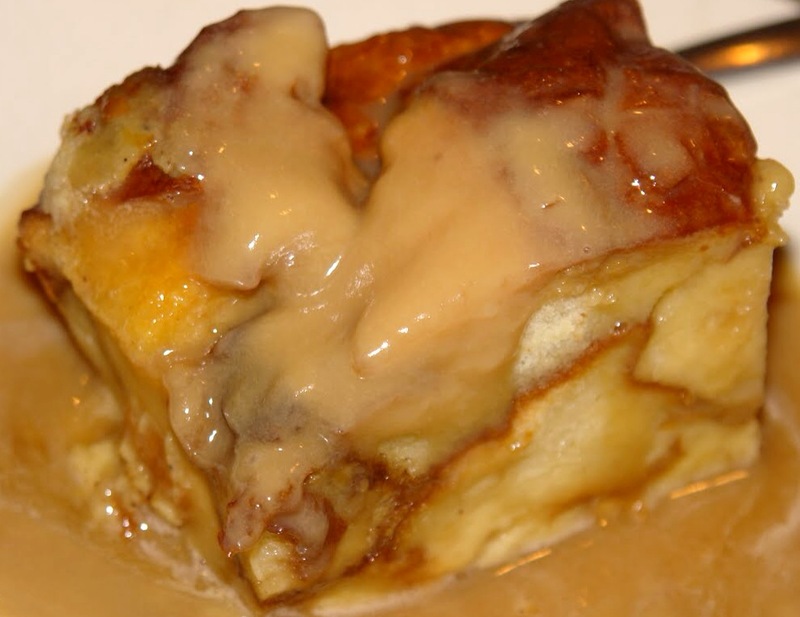 Serve the pudding warm, drizzled with the rum sauce. Note: If you made it ahead of time. Thaw to room temp and put in a 350 F for 20 minutes to reheat. For rum sauce it can be prepared 2 days ahead. Cover and refrigerate. Bring to simmer before serving.